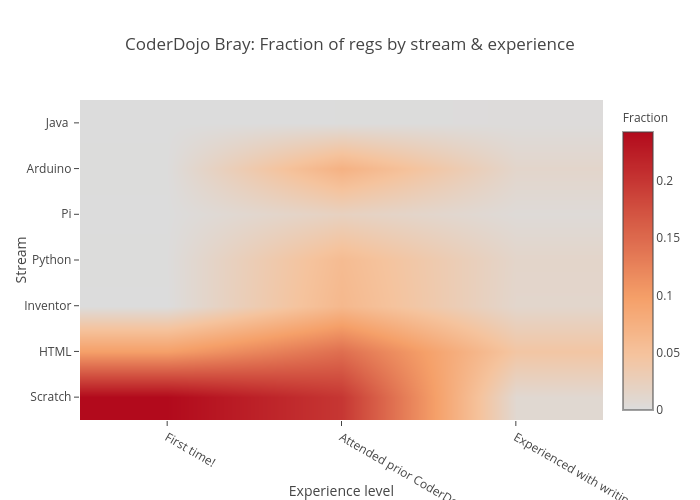 Coderdojobray's interactive graph and data of "CoderDojo Bray: Fraction of regs by stream & experience" is a heatmap, showing Col1; with Experience level in the x-axis and Stream in the y-axis.. The x-axis shows values from -0.5 to 2.5. The y-axis shows values from -0.5 to 6.5.